BATH CODE 7M01. by CHRISTIAN DIOR PARFUMS. CHRISTIAN DIOR DIORISSIMO EAU DE TOILETTE 50 ML SPRAY. FIRMA: CHRISTIAN DIOR. VARIANTE:EAU DE TOILETTE. OTRAS CARACTERISTICAS. DIORISSIMO eau de toilette spray 100 ml. Tipologia: Eau de Toilette. Formato: 100 ml. En logística no son días hábiles sábados, domingos y festivos. Dior Diorissimo. Eau de toilette vaporisateur spray. 0712801713 o 3318184710. Christian Dior Diorissimo. Esprit De Parfum. Dior Diorissimo 50 ml. Condition is New. Dispatched with Royal Mail Sign For. Dior Diorissimo Eau de Toilette 50ml Women Spray. No box,from CD perfums set. Christian Dior Diorissimo. Refillable natural spray. Esprit De Parfum. 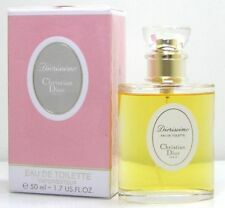 Christian Dior Diorissimo Eau de Toilette 50ml Spray. Account creato e gestito daAM Group S.r.l. Christian Dior Diorissimo Eau De Toilette Spray for Her 100ml, This stunning scent from Dior features a floral note, an essence of ylang-ylang from mayotte top note, a lily of the valley heart note and an Egyptian jasmine base note to beautiful effect. As bright as a spring morning, this romantic floral bouquet blossoms with the freshness of lily-of-the-valley, Christian Dior's lucky flower and the emblem of Dior Couture. A Prestigious Couture-Inspired Deluxe Fragrance designed by the famous designer "Christian Dior". Dior's Most Exclusive, Most Wanted Sought After, High Demand Parfums ever Created to DATE. HUGE FULL SIZE 227g - NET WT. A Prestigious Couture-Inspired Deluxe Fragrance designed by the famous designer "Christian Dior". One of Dior's Most Exclusive, Most Wanted Sought After, High Demand Global Product's Created to DATE. ORIGINAL EARLY POTENT FORMULA. HUGE FULL SIZE 200ML - 6.8 US.FL.OZ. A Prestigious Couture-Inspired Deluxe Fragrance designed by the famous designer "Christian Dior". Dior's Most Exclusive, Most Wanted Sought After, High Demand Parfums ever Created to DATE. DIORISSIMO CHRISTIAN DIOR, PURE ESPRIT DE PARFUM, 74\75 ML, ANNI 80, VINTAGE. L'oggetto in questione fa parte della mia grande collezione di profumi che ho collezionato negli anni. The object in question is part of my great collection of perfumes I've collected over the years. Fragrance Type Eau de Toilette. Al realizar un pedido desde los EE. UPC 3348900314290. DIORISSIMO eau de toilette spray 50 ml. Diorissimo Eau De Toilette fa parte, insiema ad altre cinque fragranze, della sofisticata collezione "Les creations de Monsieur Dior", creata dai profumieri di Christian Dior con l'ambizione di evocare e riprodurre gli abiti più belli della Maison e "vestire" quindi ogni donna con un profumo unico ed inebriante. DIOR DIORISSIMO Eau De Toilette. 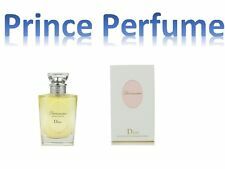 Il profumo che sublima la freschezza del mughetto, il fiore preferito di monsieur dior. PROFUMO Christian Dior "DIORISSIMO". Esprit de parfum 50 ml NUOVO (concentration Proche du parfum). A Prestigious Couture-Inspired Deluxe Fragrance designed by the famous designer "Christian Dior". One of Dior's Most Exclusive, Most Wanted Sought After, High Demand Global Product's Created to DATE. HUGE FULL SIZE PRODUCT NET WT. Prodotto da collezione. Cerco persone appassionate che ne sappiano riconoscere la qualità ed il valore. Buona collezione a tutti. Fragrance Type Eau de Toilette. Size 3.4 Fl Oz/100ml. A continuación puede encontrar una traducción automática al español. DIORISSIMO eau de toilette spray 100 ml. Diorissimo Eau De Toilette fa parte, insiema ad altre cinque fragranze, della sofisticata collezione "Les creations de Monsieur Dior", creata dai profumieri di Christian Dior con l'ambizione di evocare e riprodurre gli abiti più belli della Maison e "vestire" quindi ogni donna con un profumo unico ed inebriante. De Christian Dior. Eau de Toilette Natural Spray 100 mL. [Launched by the design house of Christian Dior in 1956, DIORISSIMO is classified as a refreshing, flowery fragrance. This feminine scent possesses a blend of jasmine, lily of the valley, and ylang-ylang. ]. As bright as a spring morning, this romantic floral bouquet blossoms with the freshness of lily-of-the-valley, Christian Dior's lucky flower and the emblem of Dior Couture. Manufacturer Diorissmo. Launched by the design house of Christian Dior in 1956, DIORISSIMO is classified as a refreshing, flowery fragrance. This feminine scent possesses a blend of jasmine, lily of the valley, and ylang-ylang.